I love a bit of Warehouse, so the news of the brand's new direction had me feeling decidedly on edge. But a quick flick through their Autumn Winter look book had my worries channelled in a completely different direction. Full of sharp separates and directional designs, now my only concern is being able to afford ALL OF THE THINGS. For now though I can happily daydream about the season ahead, and all of the lovely things I wish I could buy. 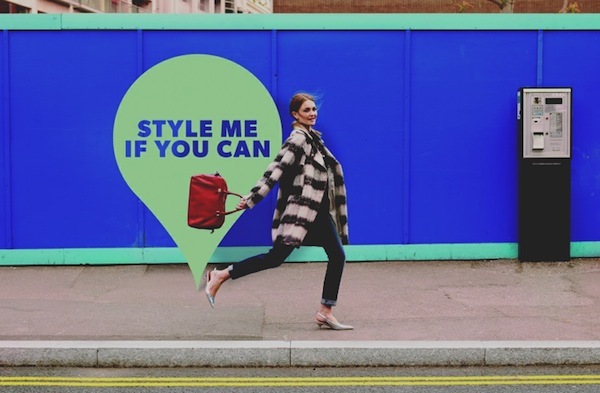 And actually, I can do a bit more than daydream, thanks to the brand's addictive new online competition, Style Me if You Can. Just pick a location and occasion and style up an outfit, using clothes and accessories from the latest collection. Not only do you get a sneak peek at all the gorgeous pieces that aren't yet in store, BUT you have the chance for your outfit to feature in the brand's upcoming campaign. You can also create a mood board which you can share online. But here's the best bit: 9 winnners - yep, NINE - will win a trip for two to one of the world's fashion capitals: New York, Milan or Paris. The competition is only running till tomorrow... so get styling today! Check out Style Me If You Can online here. And if you win that trip for two, hey, you know where I am...! what a fabulous prize! awesome competition. So glad they are taking a new direction. I used to buy loads from Warehouse but the last few seasons they had lost their way. I used to buy quite a lot from Warehouse in the past. Must check them out again next time I'm in London. Style me if you can? I just can't keep the pace with all these cool sites!? I'd love to win that trip!!! Love a bit of Warehouae, this is great fun! Wow, great pieces and I can see why you'd be wanting all of them...such a great idea to get people to snap themselves wearing the clothes!